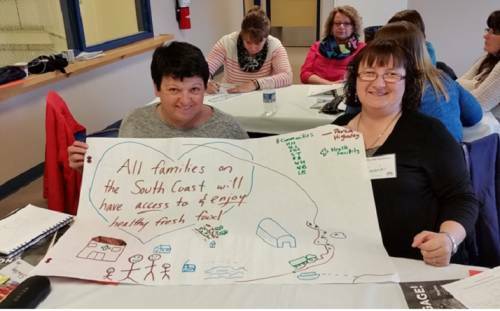 Helped by IGA funding, Food First NL is continuing to develop new relationships with stakeholder organizations. The 250th Anniversary of the British-Inuit Treaty Celebrations took place throughout the past year, with the big festivities happening in Mary’s Harbour on August 20-21, 2015. 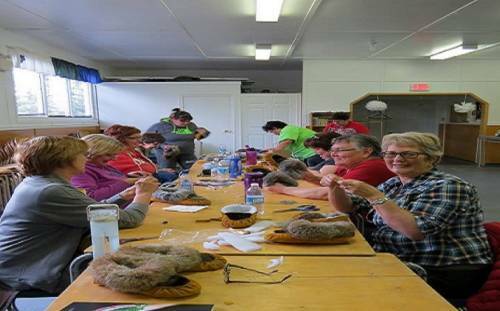 Traditional sealskin craft-making workshops (slipper-making, mitt-making, bracelet-making, etc.) were offered to people throughout Labrador. This has been an opportunity to bring youth and elders together – as well as, others – to help keep the region's culture and heritage alive.